MONTGOMERYSHIRE BIRDS: High water levels. The recent rain has resulted in all the mud at LCYD being covered completely so no waders seen today. 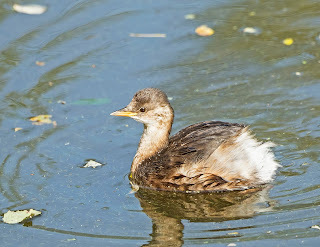 Only bird of note was this Little Grebe which could now access water at the side of the hide.